The mobile industry is a dynamic technology-driven marketplace where trends and strategies are bound to change frequently. In 2018, there was much advancement in the technologies and mobile app development companies in India are opting these new technologies to stay ahead in the market. If you are looking for the top mobile app development company in India, that can boost your productivity by developing an eminent application, refer to the below list. All About Apps has curated the list after analyzing the insights of the companies that are proving cutting-edge Android and iOS app development services. OpenXcell is a leading mobile and web app development company known for delivering promising software solutions with high-quality unique features. The company design innovative app solutions with higher user-engagement rates for their clients. Offering a wide range of services to global clients to accomplish real-time business demands in a cost-effective way. IndiaNIC Infotech Ltd. consists of a bunch of enthusiasts who carve for the work and enjoy creating efficient and cost-effective solutions for small to medium to large enterprises. Each employee at IndiaNIC Infotech Ltd. is dedicated to developing innovative software applications for different operating systems. The company follows result-driven strategies that lead to the development of creative mobile apps and web solutions. Being the leading mobile and web development company, they offer exclusive services to their clients. Types of web services: Custom Website Design, B2B Portal, Enterprise Web Application Development, Intranet Applications, Custom E-Commerce Development, etc. Other services: Mobile App Development, Wearable App Development, AR/VR App Development, iOS App Development, Android App Development, IoT App Development, etc. Hidden Brains InfoTech is a renowned name in the mobile and web development sector since their establishment. The company has developed multiple apps for their global clients in the excellent 15+ years of their journey. The software app developers implement the latest technologies to develop creating and user-friendly apps that are compatible with all platforms. 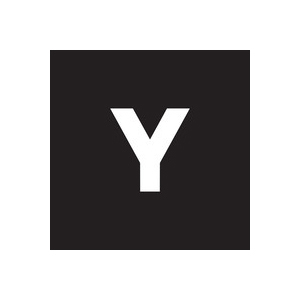 The company redesigns the business operations by embedding Big Data Analytics. Artificial Intelligence, Internet of Things and Enterprise Mobility. Delivering prominent mobile and web development services to fulfill business needs. Technologies: WordPress, Magento, Shopify, HTML, MySQL, Java, Swift, etc. Other services: Mobile App Development (iOS, Android, Hybrid, etc. ), Front-End Technologies, Microsoft Technologies, IoT, AR/VR, Cloud and DevOps, Wearable, etc. Space-O Technologies is a one-stop solution for the various mobile and web solution. From conceptualizing to development to maintenance, the company delivers best-suited solutions to the global clients. They follow the motto of “Design-led-Engineering” for developing the applications of today’s needs. Developed more than 1500 mobile and web applications for clients across the world also, they have successfully empowered 25+ Startups. Delivering meticulous innovative strategies and agile application development to the clients. 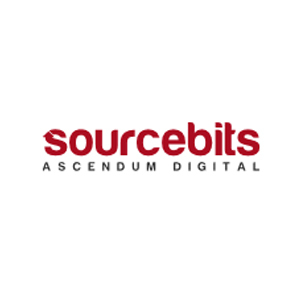 Sourcebits have a team of skilled professionals having experience of more than 8+ years in developing software applications. The company offers creative solutions to various industries including Real-Estate, Logistics, Healthcare, etc. TechAhead is the leading mobile app development and consulting company. The company is known for providing a wide range of solutions including mobile consulting, design and development services for iPhone, iPad, and Android. They strive to create a highly functional application that enhances user-engagement rates and increases brand awareness in the market. 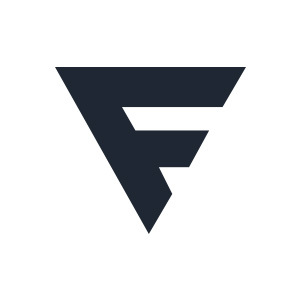 QBurst is a full-stack development service providing company, developing and designing highly responsive applications with an easily navigable user interface. The company develops highly customized web and mobile apps for the clients. The team of developers work with the latest JS frameworks and implement emerging technologies like IoT, Cloud, Big Data, AR, VR, etc. The company ensures their clients with 100% satisfaction and high-quality products. QBurst provides one-stop solutions to clients that are looking for complementary services in addition to the custom mobile app and web development. Types of web services: Custom Web Development, Content Management Systems, App Backends, ERP Systems, E-Commerce Web Development, etc. Other services: Mobile App Development, iOS App Development, Android App Development, Big Data Processing, Data Visualization, Google Cloud, Cross-Platform App Development, etc. Appinventiv is among the leading app development company in the IT market which has gain success since its establishment. The company aims to create a better opportunity for small to medium to large scale enterprises in the future. Appinventiv is an ISO certified and globally recognized mobile app development company. Following an agile, scalable and customizable development process to meet the requirements of the clients to boost their growth. RipenApps is the leading mobile app development company which is headquartered in India and successfully running in other. Locating countries including USA, UAE, Germany. Having tremendous Industry experience in app development field, we work with the team of talented & experienced employees who are masters at their field. With the vast knowledge, we work on the latest tools & technologies for the outstanding results and focus on Startups, Business ventures, entrepreneurs, etc to cater them according to their desires. 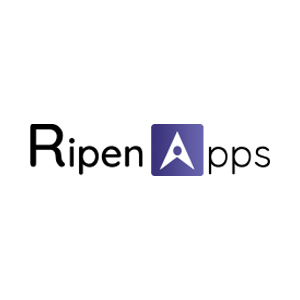 RipenApps is a well-known firm which is famous for its app development services and successfully deploying. Apps for Android, iOS, Web, IoT, Beacon, Wearable, etc. Types of web services: Website Development, CodeIgniter Development, PHP Development, Zend Development, AngularJS Development, Laravel Development, etc. Technologies: PHP, .NET, Java, Ionic, React, Drupal, Joomla, WordPress, Magento, Node.js, AngularJS, Swift, MongoDB, HTML5, etc. Other services: Native App Development, Hybrid App Development, Latest Technology Development (Wearable, IoT, and Beacon), etc. Freelance To India Technologies Pvt. Ltd.
FTI (Freelancetoindia) is one of the finest web design and development solution providers that have a comprehensive understanding of ever- changing IT world. Our affordable and hassle free IT solution service helps corporate, SMBs, institutions, firms, and individuals to achieve their business goal in a budget price. Apart from typical IT solutions, we deliver web related solutions by keeping your audience in mind and your business. By creating a simple but a striking web solution helps business to drive results for their company. Our dedicated and well-updated team strives to produce better results for our clients by offering a nifty solution in a wide range of skills ranging from web design, E-commerce development to SEO service. Types web of services: PSD to WordPress, HTML to WordPress, E-commerce with WordPress, WordPress Maintenance, Plugin Development, Theme Customization, etc. Technologies: HTML/HTML5, CSS3/SCSS, Bootstrap, WordPress, etc. Other Services: iPhone App Development, Android App Development, BlackBerry Application, Window Phone Application, E-commerce app development, UI/UX Designing, etc. We are a custom mobile app & web development company that thinks out of the box and build award-winning mobile apps for startups and enterprises globally. Our hybrid exposure in understanding your business needs and our technology skill-sets helps in planning, designing and deploying apps for you. We develop top-quality app across all mobile platforms that easily integrates with web back-end built with Microsoft or PHP and runs well in cloud servers. Types of services: Enterprise Application Development, iPhone App development, Android App Development, Cross-Platform App Development, etc. Technologies: MySQL, jQuery, Java, .NET, Node.js, AngularJS, HTML5, CSS3, etc. Other Services: AR Apps, UI/UX Designing, IoT Application Development, Mobile Payment Gateways, etc. Alakmalak Technologies was founded in the year 2006, which specializes in web design & development, eCommerce development, Web Application, Custom Development, and SEO. We never let you pay more than you need, or give less attention than you deserve. It is privately funded, do not rely on venture capital and operate on a continuously profitable basis, thus are able to maintain all operations and growth with the current revenues. Our philosophy being "complete customer satisfaction" which makes us a people-oriented company, wherein we work person-to-person and not business-to-business. We Provide professional web solutions like web hosting, website Designing, web application development. 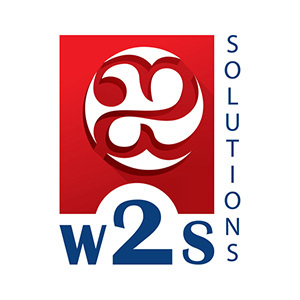 We are pioneers in Web solutions since the last Nine years now, based at Ahmadabad city of India. We also provide redesigning of website and addition of more features like E-commerce, payment gateways, to the existing websites. Youngbrainz providing services like Mobile application development in IOS and Android. Website Design, and Development, UI/UX Designing, Cloud-Based Services. We are focusing on various CMS like WordPress, Magento, Joomla. We are also working with a framework like Code Ignitor, cake PHP, YII, Laravel. We are providing the best mobile solutions for IOS and Android Application Development. We Serve our services in many sectors like eCommerce, Human Resource, Real Estate, Medical, Education, Entertainment, Hospitality and much more. Our motto is to mainly focus on delivering robust, scalable, viable and quality solutions. Tvisha Technologies is a leading mobile app development company that delivers the best in the industry across all industries and domains. We have developed over 250+ applications in Android, iOS, native and hybrid. We have a team of 100+ finely polished professionals who are experts in project management, code development, web designing, UI/UX design, quality assurance, business analytics, intelligence, and many other verticals. Tvisha Technologies understands the client requirement clearly and continue to deliver the modules or projects in due time without compromising on the quality. Ecomsolver is a fast growing software development company with a goal to deliver the best and quality services to our client within budget. The company is situated in India, providing all support and services in custom software development (web and mobile-based projects). Ecomsolver enables organizations to quickly and cost-effectively realize their business ambitions, which are heavily dependent on effective technical delivery, by deploying multi-disciplinary teams to deliver new or major changes to existing software systems. We have provided best plus affordable Website designing and development services to numerous large as well as medium entrepreneurs. We are the masters in offering effective development solutions. We build websites that work efficiently has proven our work and experience in website designing and development. You can trust us for the best return of your investments all you need to do is contact us. Decipher Zone represents a team of experts who focus on customer delight by providing them customized solutions and services covering the complete application development cycle. We believe in delivering quality products within the time frame. The task for us starts right from requirement understanding from clients until the deployment and maintenance of the deployed application. We are a start-up company and believe in out of the box thinking. Implementing new ideas and innovative techniques forms the basis of our approach. As a team, we all are headed towards creating a brand experience for the clients. To convert all our efforts into a quality product, we follow agile methodology at each step of a product development cycle. We take a bottom-line approach for each project to turn our client's digital ideas into success stories and grow along with them. We stress on effective Consultation and Maximization of proposed business models to ensure desired ROI flow for our clients.